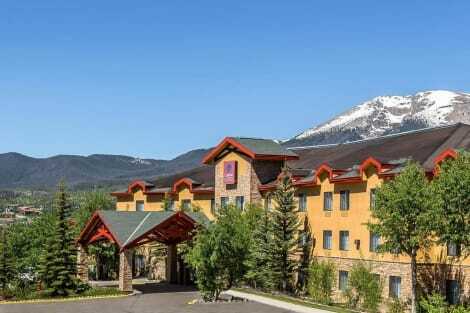 When you stay at Comfort Suites in Dillon, you'll be in the business district, within a 15-minute drive of Keystone Ski Resort and Dillon Reservoir. This ski hotel is 11.4 mi (18.4 km) from Loveland Ski Area and 12.1 mi (19.4 km) from Copper Mountain Ski Resort. Make yourself at home in one of the 73 guestrooms featuring refrigerators. Complimentary wireless Internet access keeps you connected, and cable programming is available for your entertainment. Conveniences include desks and coffee/tea makers, and housekeeping is provided daily.